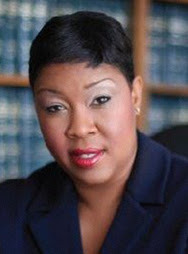 Melanie M. Shelby is an award-winning professional with a 20-plus year track record of accelerating business objectives for brands such as AEG, Allstate, Comcast NBC Universal, Pacific Gas & Electric Company, and others through impacting external relations, public affairs and supplier diversity. She resides on the leadership team at Gray, Greer, Shelby & Vaughn, a certified minority and woman owned public affairs firm. Melanie is a graduate of the University of California, Los Angeles. She works tirelessly across the nation to create a level economic playing field for diverse firms. Save the Date, May 3! Join us for BizX – Business Experiences That Inspire & Empower, a small business event focused on the power of storytelling. BizX aims to inspire and engage small businesses here in Sacramento with shared experiences. As part of national Small Business Week, the City of Sacramento Economic Development Department hosts BizX on May 3, from 2-4:30 p.m., at Memorial Auditorium, Small Theater. Make sure to check out all of the other exciting event happening during Capital Region Small Business Week!